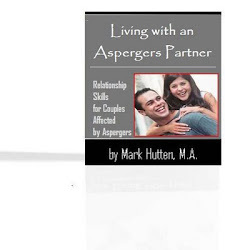 As couples get down to the business of life after a few years of living together, they often realize that two people may not see eye-to-eye on how things are to be done around the house or in the relationship – especially when one partner has Asperger’s (high functioning autism), and the other does not. Very often, one partner (usually the “Aspie”) draws back while the other (usually the neurotypical spouse) goes overboard. 1. Always create a space for yourself (e.g., a shed, a study room, etc.) …somewhere to retreat from the complaining when it erupts. Your best hobby is done in this safe haven from the chronic complainer. Everybody should have a hobby to counteract the grumbling of a partner. 2. Be patient with your complaining partner. Most people have a good reason for blowing their top. They can only be pushed so far before they explode. Sometimes a good dinner and a good night’s sleep makes things much better the next day. 3. If your partner frequently complains about how you don’t contribute to the household daily tasks – and you really DO help out as much as possible – explain how you prioritize your time and defend your reasoning. Jot down what you do in an average day (on work days and on non-work days). Post these two lists (including time frames) on the refrigerator door, but do not point them out to your partner in a condescending way. When your partner wants to talk to you about how she or he does all the work around the house, stop her or him and redirect the attention to your lists. If your partner criticizes your lists, point out that while she/he may feel her/his demands are more worthy, you will decide how you prioritize tasks and periods of rest in your day based on your own good judgment. 4. Include periods of relaxation and entertainment – and defend them. Just because your partner may feel overwhelmed by all the things she or he noticed needing attention doesn't mean it would be wise of you to indulge your partner the misconception that her or his priorities are reasonable and shared by you. 5. Listen to what your partner has to say. People like to express themselves when they’re feeling hurt. If you don't understand what your partner is talking about, tell her or him to calm down, take a deep breath, and explain what she or he is really trying to convey. 6. Make your partner feel special (e.g., buy your lady some flowers, order pizza delivery and watch a ballgame with your man). Let your partner know that she or he is still important to you. 7. Support your partner. People who complain a lot are usually in a state of discouragement. They need the support and love of their spouse or partner – even when they don't agree with her or him. A hug or a kiss can go a long way. 8. If your partner is being insulting and hostile, call her or him out. There’s no good excuse for one partner to speak scornfully to the other. You are both grown-ups and should always treat each other with respect. If your partner shows contempt for you and treats you rudely, speak up and let your partner know what impact her or his behavior is having on you. A simple, "Well that was hurtful" in response to a demand made in a nasty tone should be adequate. If it's not, take a moment and tell your partner that she or he is hurting you and the relationship, and ask your partner to find another way to deal with personal frustrations. 9. When you feel that a complaint is about to happen, just go for a walk. The key here is to be consistent so that every time a complaint is about to occur, you just get out of the way. This saves wasted energy all around. And if you are out of the way, then you will not hear it. 10. 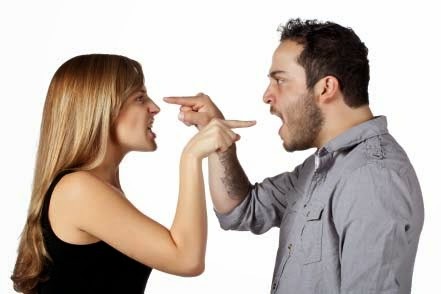 Be patient with your partner as she or he adjusts to your new way of responding (not reacting) to frequent complaints. Are husbands with Asperger's and High-Functioning Autism naturally insensitive to their wife's feelings? As most of us know, people with Aspergers (high functioning autism) often have difficulty with social skills. A BIG part of this is due to the fact that they have trouble reading body language, which makes it increasing difficult for them to interact with others. The good news is that it’s possible to learn how to read body language through practice and role playing. Noticing the signals that people send out with their body language is a crucial social skill. A few of us “Aspies” can read it naturally, but most of us are notoriously oblivious. Fortunately, with a little extra attentiveness, you can learn to read body language, and with enough practice it can become second nature. Body language often encompasses (a) how our bodies connect with material things (e.g., pens, cigarettes, spectacles and clothing), (b) how we position our bodies, (c) how we touch ourselves and others, (d) our breathing, (e) our closeness to - and the space between - us and other people and how this changes, (f) our eyes – especially how our eyes move and focus, and (g) our facial expressions. 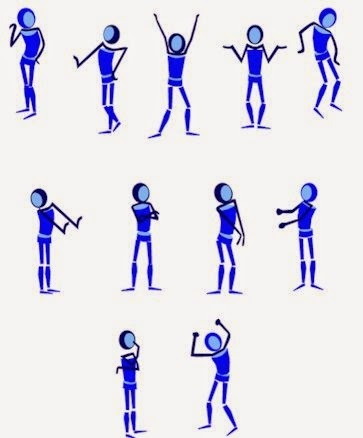 Being able to “read” body language therefore helps us greatly to understand ourselves better, understand better how people might be perceiving our own non-verbal signals, and know how people feel and what they mean. The following list will no doubt seem daunting in its entirety. Thus, I suggest just picking a few (3 or 4) to work on (possibly the ones that feel the easiest to implement given your current strengths). A clenched fist can indicate anger or solidarity. Blinking is natural, but you should also pay attention to whether a person is blinking too much or too little. People often blink more rapidly when they are feeling distressed or uncomfortable. Infrequent blinking may indicate that a person is intentionally trying to control his or her eye movements. For example, a poker player might blink less frequently, because he is purposely trying to appear unexcited about the hand he was dealt. Closed posture involves keeping the obscured or hidden often by hunching forward and keeping the arms and legs crossed. This type of posture can be an indicator of hostility, unfriendliness, and anxiety. Crossed arms might indicate that a person is feel defensive, self-protective, or closed-off. Dilated pupils mean that the person is interested. Keep in mind, however, that many substances cause pupils to dilate, including alcohol, cocaine, amphetamines, MDMA, LSD and others. Don't mistake having a few drinks for attraction. If people purposely touch their feet to yours, they are flirting! If someone mimics your body language, this is a very genuine sign that they are trying to establish rapport with you. Try changing your body position here and there. If you find that they change theirs similarly, they are mirroring. If someone’s eyes seem focused far away, that usually indicates that he or she is in deep thought or not listening. Lowered eyebrows and squinted eyes illustrate an attempt at understanding what is being said or going on. It's usually skeptical. This is presuming they are not trying to observe something that's far away. Lowered heads indicate a reason to hide something. Take note if someone lowers their head. If it is when he is complimented, he may be shy, ashamed, timid, keeping distance from the other person, in disbelief, or thinking to himself or herself. If it is after an explanation, then he may be unsure if what he said was correct, or could be reflecting. One of the most subtle cues that eyes provide is through the size of the pupils. While light levels in the environment control pupil dilation, sometimes emotions can also cause small changes in pupil size. For example, you may have heard the phase "bedroom eyes" used to describe the look someone gives when they are attracted to another person. Overly tilted heads are either a potential sign of sympathy, or if a person smiles while tilting their head, they are being playful and maybe even flirting. Pay attention to how physically close someone is to you. The closer they are, the warmer they are thinking of you. If you move slightly closer to them and they move even closer to you, they probably really like you or are very comfortable around/by you. But this could also mean that they have a special comfort with you, a strong friendship, or they consider you a member of their family. People sometimes bite their lips when they are worried, anxious, or stressed. People who are rubbing their hands together or somehow touching their own body might be comforting themselves (which means they aren't enjoying the current situation). People who look to the sides a lot are nervous, lying, or distracted. However, if a person looks away from the speaker, it very well could be a comfort display or indicate submissiveness. Looking askance generally means the person is distrustful or unconvinced. People with crossed arms are closing themselves to social influence. Though some people just cross their arms as a habit, it may indicate that the person is slightly reserved, uncomfortable with their appearance (i.e., self-conscious and trying to cover it), or just trying to hide something on their shirt. If their arms are crossed while their feet are shoulder width or wider apart, this is a position of toughness or authority. Personal space is culturally fluid; keep in mind that what is considered close in one country is far away in another. Pursed lips might be an indicator of distaste, disapproval, or distrust. Slight changes in the mouth can also be subtle indicators of what a person is feeling. When the mouth is slightly turned up, it might mean that the person is feeling happy or optimistic. On the other hand, a slightly down-turned mouth can be an indicator of sadness, disapproval, or even an outright grimace. Some cultures believe that looking at someone in the eyes is a sign of disrespect, or is only done with intimate friends or family, so this could explain why someone is avoiding eye contact with you. Some people may point their feet to the direction of where they want to go or sometimes their interest. So if it's pointing at you, he/she may be interested in you. Someone that looks down at the floor a lot is probably shy or timid. People also tend to look down when they are upset, or trying to hide something emotional. People are often thinking and feeling unpleasant emotions when they are in the process of staring at the ground. Someone who brushes their hair back with their fingers may be preening, a common gesture if the person likes you, or their thoughts about something conflict with yours. They might not voice this. If you see raised eyebrows during this time, you can be pretty sure that they disagree with you. The "Okay" gesture, made by touching together the thumb and index finger in a circle while extending the other three fingers can be used to mean okay. In some parts of Europe, however, the same signal is used to imply you are nothing. In some South American countries, the symbol is actually a vulgar gesture. Tilted heads mean that they are confused or challenging you, depending on their eye, eyebrow, and mouth gestures. Think of how a dog slightly tilts its head when you make a funny noise. When a person is sitting, feet crossed at the ankles, this means they're generally at ease. When a person looks directly into your eyes when having a conversion, it indicates that they are interested and paying attention. However, prolonged eye contact can feel threatening. On the other hand, breaking eye contact and frequently looking away may indicate that the person is distracted, uncomfortable, or trying to conceal his or her real feelings. When a person who wears glasses is constantly pushing them up onto their nose again with a slight frown, this may indicate they disagree with what you are saying. When people want to hide an emotional reaction, they might cover their mouths in order to avoid displaying a smile or smirk. When someone rests their arms behind their neck or head, they are open to what is being discussed or just laid back in general. When we meet someone for the first time, their body language, on conscious and unconscious levels, largely determines our initial impression of them. In turn, when someone meets us for the first time, they form their initial impression of us largely from our body language and non-verbal signals. While standing, if a person seems to always keep their feet very close together, it probably means they are trying to be "proper" in some way. Sometimes feet together means that they are feeling more submissive or passive. • Anonymous said... I'm 27 and feeling very frustrated about Love i have had one Girlfriend but still find myself in doubt about Love. Yet I feel something telling me I will love again. I find myself also very out of place, and wondering why I compare myself to a few college friends a few years younger than me who are engaged. Sure their relationships aren't easy I know that but I don't wanna spend the rest of my life alone. I already dealt with that pain of loneliness which is what I hated going through as a child. Personally I also have a hard time asking people for help cause when I was younger during my late teens in high school I was going through an extremely stressful time and whenever I would ask for help from someone I knew they would always say "I'm too busy to hear your problems". Lastly i'm still trying to get over suppressing my emotions in general. the area I live in doesn't have many people with Asperger's Syndrome and there's only one other person 4 years younger than me with Asperger's and she's far more happier. • Anonymous said... I take too much time to understand what people want and this time is enough to make me feel that the relationship is lost forever. When I was a teenager I thought it was only a phase, but in the last years I was getting tired of it and trying to live only by myself, believing that it was the only way I could live. But Just a few days ago I became aware of asperger and I suffered a lot thinking on how much harm I may have done to people and frustrated of not knowing of asperger before. However I feel as if a new door was open to me and I am trying to understand it better. • Anonymous said... I am 30 years old and I've ever thought that my problems should disappear with time. I am married and a few days ago my wife told me I looked like an autist and I started to remember that many colleagues and friends have told me the same when I was a teenager and I thought they were kiding. After that I started to read about asperger and I feel that I am an asperger, but I don't know what to do. I am reading a lot about it now and it looks like my way of dealing with my asperger was creating a crust to pretend I am normal and believing I will find my way somehow. Now I don't know exactaly what to do, most because I have created a social face that looks very self-centred and it is very difficult to find someone to talk about that. I've have learned how to stabblish casual conversations with people, but I never know how to go further. I suffer a lot and now I am experiencing a sort of relief by knowing what my problem is. If someone want to chat, please contact me here, since I can't find anybody like me around right now and those with who I could talk about that are not near and I have difficulties on reestablishing those relations. • Anonymous said... I know about smiles and frowns, but the rest just seems like too much. Even if I memorize it, I won't remember it while it's happening. Plus there is so much that involves eye contact. How can I know what they are thinking and feeling when I can't even look at their eyes?? If you have Asperger’s (high functioning autism) and ADD, everything from paying the bills on time to keeping up with family and work can be super stressful. Your symptoms may lead to trouble making deadlines, extreme procrastination, and impulsive behavior. Also, you may feel that family and friends don’t understand how difficult you have it. Luckily, there are strategies you can learn to help get your symptoms of Asperger’s (AS) and ADD under control. You can develop techniques that help you work more efficiently, improve your daily habits, increase organization, interact better with others, and learn to recognize and use your strengths. Change won’t happen in one day, though. After someone gives verbal instructions, say them aloud to be sure you got it right. All those great concepts that keep popping into your head – jot them down on paper for later consideration. Allot yourself limited amounts of time for each task and use a timer or alarm to alert you when your time is up. For longer tasks, consider setting an alarm to go off at regular intervals to keep you productive and aware of how much time is going by. 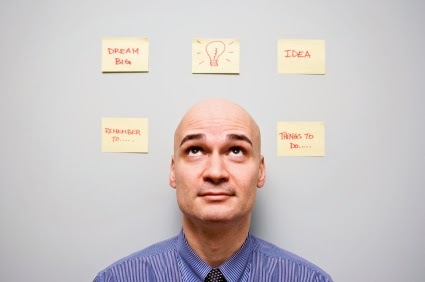 Ask yourself what is the most important task you need to accomplish, and then order your other tasks after that one. Ask yourself what you need on a daily basis, and find storage bins or closets for things you don’t. Designate specific areas for things like keys, bills, and other items that can be easily misplaced. Throw away things you don’t need. Avoid getting sidetracked by sticking to your schedule, using a timer to enforce it if necessary. Break down large projects or tasks into smaller, manageable steps. Choose something vigorous and fun that you can stick with, like a team sport or working out with a friend. Color-coding can be very useful to people with AS and ADD. Manage forgetfulness by writing everything down. Create a predictable and quiet “bedtime” routine. Cut up all but one credit card. When you shop, make a list of what you need and stick to it. Eat fewer carbohydrates, while increasing your protein intake. Eat small meals throughout day. Effective use of a day planner or a calendar on your smartphone or computer can help you remember appointments and deadlines. With electronic calendars, you can also set up automatic reminders so scheduled events don’t slip your mind. Exercise by lifting weights several times a week. Exercise in the form of cardio is great, too – but not within an hour of bedtime. Face your desk towards a wall and keep your workplace free of clutter. To discourage interruptions, you could even hang a "Do Not Disturb" sign. If possible, let voicemail pick up your phone calls and return them later. If noise distracts you, consider noise-canceling headphones or a sound machine. Free services (e.g., Mint and Manilla) can help you keep track of your finances and accounts. Both services take some time to set up, but once you’ve linked your accounts they automatically update. Manilla consolidates your statements and bills from all of your accounts into one place. Mint tracks all of your bank account and credit card transactions, and also offers budgeting and other financial analysis tools. Health professionals can help you manage symptoms of AS and ADD, but they can only do so much. You’re the one living with the problems, so you’re the one who can make the most difference in overcoming them. If you don’t have your own office, you may be able to take your work to an empty office or conference room. If you are in a lecture hall or conference, try sitting close to the speaker and away from people who chat mid-meeting. If you prefer not to set up automatic payments, you can still make the process of bill paying easier with electronic reminders. You may be able to set up text or email reminders through online banking or you can schedule them in your calendar app. If you're attending a meeting, lecture, workshop, or another gathering that requires close attention, ask for an advance copy of the relevant materials (e.g., a meeting agenda or lecture outline). At the meeting, use the written notes to guide your active listening and note taking. Writing as you listen will help you stay focused on the speaker’s words. Impulsiveness can lead men and women with AS and ADD to agree to too many projects at work or make too many social engagements. However, a packed schedule can leave you feeling overwhelmed and affect the quality of your work. Turning things down may improve your ability to accomplish tasks, keep social dates, and live a healthier lifestyle. Check your schedule first before committing to something new. Increase stress relief by walking outdoors—people with AS and ADD often benefit from sunshine and green surroundings. Make use of lists and notes to keep track of regularly scheduled tasks, projects, deadlines, and appointments. If you decide to use a daily planner, keep all lists and notes inside it. You also have many options for use on your smartphone or computer. Search for “to do” apps or task managers. Men and women with AS and ADD are notoriously bad at estimating how long it will take to do something. For every thirty minutes of time you think it will take you to get someplace or complete a task, give yourself a cushion by AS and adding ten minutes. Minimize the amount of paper you have to deal with. Request electronic statements and bills instead of paper copies. You can also reduce junk mail by opting out of the Direct Marketing Association's (DMA) Mail Preference Service. Money management requires budgeting, planning, and organization. However, most common systems of money management don’t tend to work for people with AS and ADD because they require too much time, too much paper, and too much attention to detail. But if you create your own system that is both simple and consistent, you can get on top of your finances and put a stop to overspending, overdue bills, and penalties for missed deadlines. More important tasks should be done first. Set deadlines for everything, even if they are self-imposed. Relaxation exercise (e.g., meditation, yoga, tai chi) can teach you to better control your attention and impulses. Set aside 5 to 10 minutes a day to clear your desk and organize your paperwork. Experiment with storing things inside your desk or in bins so that they don’t clutter your workspace as unnecessary distractions. Set aside a few minutes each day to deal with the mail, preferably as soon as you bring it inside. It helps to have a designated spot where you can sort the mail and either trash it, file it, or act on it. Shop with cash only—leave your checkbook and credit cards at home. Signing up for online banking can turn the hit-or-miss process of balancing your budget into a thing of the past. Your online account will list all deposits and payments, tracking your balance automatically, to the penny, every day. You can also set up automatic payments for your regular monthly bills and log on as needed to pay irregular and occasional ones. The best part: no misplaced envelopes or late fees. Stay away from places where you’re likely to spend too much money. Stick to a regular sleep-wake schedule, even on weekends. Take a hot shower or bath just before bed. The effects of AS and ADD may have led to you and others labeling you this way, but the truth is that you are not unmotivated or unintelligent—you have a disorder that gets in the way of certain normal functions. In fact, men and women with AS and ADD often have to find very smart ways to compensate for their disorder. The hallmark traits of ADD—inattention and distractibility—make organization perhaps the biggest challenge men and women with the disorder face. If you have AS and ADD, the prospect of getting organized, whether it be at work or home, may leave you feeling overwhelmed. However, you can learn to break tasks down into smaller steps and follow a systematic approach to organization. By implementing various structures and routines, and taking advantage of tools (e.g., daily planners and reminders), you can maintain organization and control clutter. Throw away catalogs as they arrive. To prevent restlessness and fidgeting, go ahead and move around—at the appropriate times in the right places. As long as you are not disturbing others, taking a walk or even jumping up and down during a meeting break, for example, can help you pay attention later on. Use a wristwatch or highly visible wall or desk clock to help you keep track of time. When you start a task, make a note of the time by saying it out loud or writing it down. Use dividers or separate file folders for different types of documents (e.g., medical records, receipts, income statements, etc.). Label and color-code your files so that you can find what you need quickly. While it is true that there is no cure for AS or ADD, there is a lot you can do to reduce the problems it causes. Once you become accustomed to using strategies to help yourself, you may find that managing your symptoms becomes second nature. While medication can help some people manage the symptoms AS and ADD, it is not a cure, nor the only solution. If used at all, it should be taken alongside other treatments or self-help strategies. Write down appointments for fifteen minutes earlier than they really are. Set up reminders to ensure you leave on time and make sure you have everything you need ahead of time so you’re not frantically looking for your keys or phone when it’s time to go. You can avoid forgetfulness, clutter, and procrastination by filing papers, cleaning up messes, or returning phone calls immediately, not sometime in the future. If a task can be done in two minutes or less, do it on the spot, rather than putting it off for later. Here’s to a better life with AS and ADD!